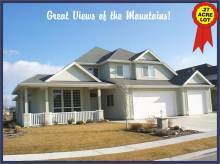 Congratulations on your decision to purchase a new home in Idaho! 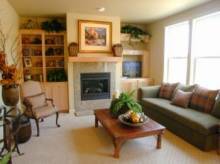 Your first step toward buying your new home in Idaho will be to analyze your family’s needs. I would be happy to assist in analyzing your needs so that you will be able to get a clear picture of exactly what your new home should be. First, you should write down what you are looking for in your new home. For example, are you currently renting and would like to have a home where you can begin building equity? Maybe you recently married and have outgrown your current residence. Or, maybe you have just gotten that promotion, which allows you to move to your Dream Home. 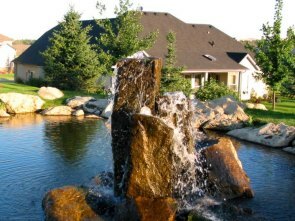 There are many factors that will have a bearing on how you approach your home search in Treasure Valley. Second, establish a time frame that you would like to stay within for buying your home. 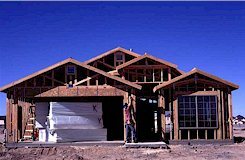 Depending on your reasons for wanting a new home and the current state of the market here in Idaho, you will be able to come up with a rough guideline, which you can finalize as you gather more information. Last, you most likely have a mental picture of what you would like your house to look like and what features it should have. 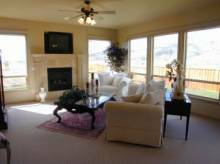 It’s very important to write these ideas down to avoid any ambiguity later in your home search. You should make at least two lists: one should be a list describing your dream home and the other should list the features of the home that you feel are absolute must have in order to buy the home. In a perfect world, your new home would fulfill both lists 100 percent. It is more likely that you will end up blending the two lists into a schedule of prioritized items as you progress through the buying process. This is a natural and evolutionary process that will become much clearer as you find out what is available here in Idaho. 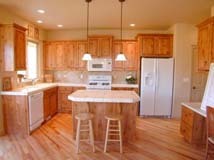 Now that you have your list of features you want in your new home in Idaho, you are ready to start looking! Well, not just yet. You are going to need to know in what price range to look. It is now time to go get pre-approved or pre-qualified for a mortgage. You will need to contact a mortgage lender and I would be happy to refer a lender or loan officer that I have worked with in the past who has the ability to make your dream home in Idaho become a reality. Being pre-approved strenghtens your position when negotiating with the seller. Through my website you will be able to view many area subdivisions, new developments, local builders, area schools and much more. So now when the weather is nasty or the kids are not feeling well you may still be searching for your Dream Home in Idaho. If your life is a bit hectic you may chose to sign up for my Dream Home function and let your computer do some of the work for you. Every day new properties and homes come on the market in the MLS, the Dream Home function will send all newly listed properties that meet your pre-set criteria in an email to you so you will never miss the perfect home for you and your family. Take a couple minutes and fill out your Dream Home Search, it's a real time saver for my home and investment Buyers. 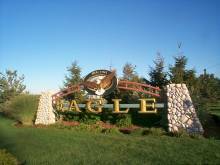 Through my website you will be able to view many area subdivisions, new developments, local builders, area schools and much more. So now when the weather is nasty or the kids are not feeling well you may still be searching for your Dream Home. If your life is a bit hectic you may chose to sign up for my Dream Home function and let your computer do some of the work. 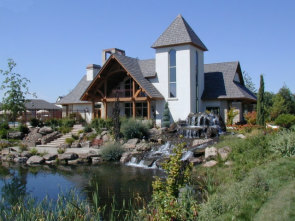 Now that we have found your Dream Home in Idaho, we will start the purchasing process. It is time to make a written offer. Taking into account all of the recent sales of homes in that neighborhood which are similar in size, quality, conveniences, and amenities, is the asking price fair for the home? We will consult with you and give you our best advice. Then we will create an offer that will have the greatest chance of being accepted. We will ensure that you have everything in writing... no verbal agreements. Your offer will be put into a written agreement that meets all of the legal requirements according to Idaho and national guidelines. We will present the written document to the seller detailing what needs to be done by both parties to execute the transaction. The agreement should protect the best interests of all parties involved and should be comprehensive in nature. We will also ensure your financial position as the buyer, by including any necessary contingencies, which will protect you if a particular requirement is not met, otherwise, once the seller accepts your offer it may be too late to make changes. As the closing date draws near, I will contact the title escrow company and your lender to make sure that all the necessary documents are prepared, and that they are complete, accurate, and delivered on time. I will also confirm that the documents will be delivered to the correct location so they can be reviewed and that they will be ready for you on the appropriate closing date. At this point, you will find out what form of payment you will need to bring to the closing for any unpaid fees and make sure that your payment is made out to the appropriate party. I will ensure that each closing document is ready and available to enable you to have a quick, easy closing. 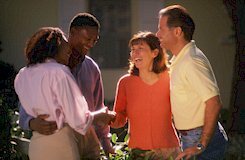 "The Closing" refers to the meeting where ownership of the property is legally transferred to you the buyer. Closing procedures are usually held at the title company’s office in Idaho. Your closing officer coordinates the document signing and the collection and disbursement of funds. I will be present at your closing to read the documents on your behalf, answer any questions, or help to resolve any last minute details that may come up. Now that you have taken ownership of the property you will need to have your local services such as electricity, cable, and phone set up. I can help you coordinate the set-up of these local services. I know who the local vendors are for such services as water and electricity, as well as others, so I will provide you with a list of contacts and phone numbers. Also, you should be aware of the expenses that are typically associated with your home. Neighborhood Association fees, landscaping costs, annual taxes etcetera. Assist in recording your Idaho Home Owners Exemption within 30 days of occupancy and closing, if you plan on having this home aas your primary residence.